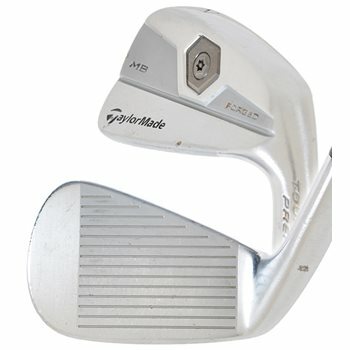 The TaylorMade Tour Preferred MB irons are a forged muscle-back design with clean lines, minimal offset, and a compact player''s shape, resulting in the feel, feedback, and shot-shaping capability that accomplished players demand. Precise swing-weights are achieved through a precision-weighting port which also ensure optimal Center of Gravity locations in each club. Its advanced groove design promotes improved spin and control from the rough.